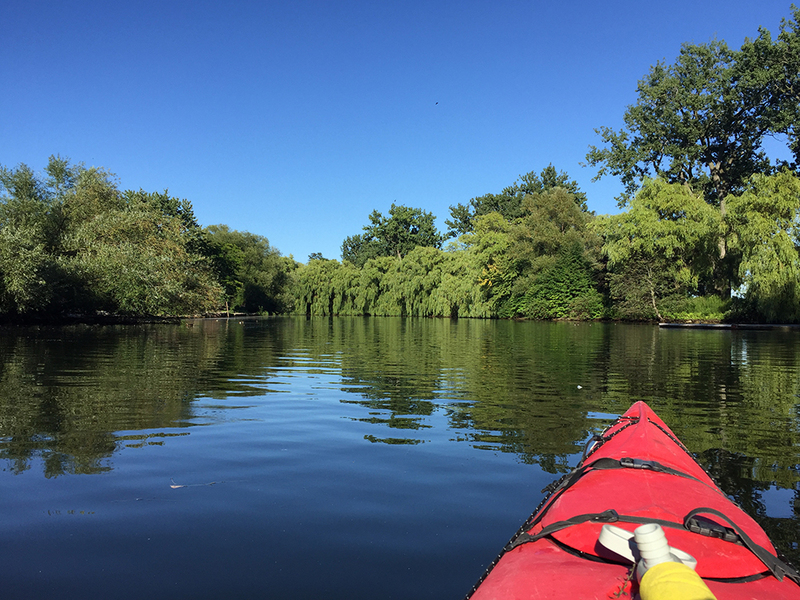 when i wrote the list, i added “kayaking on the lagoon”, thinking it was time we took to the waters in the ria formosa… but it’s one of those things that is so close by, you never get around to actually doing it. 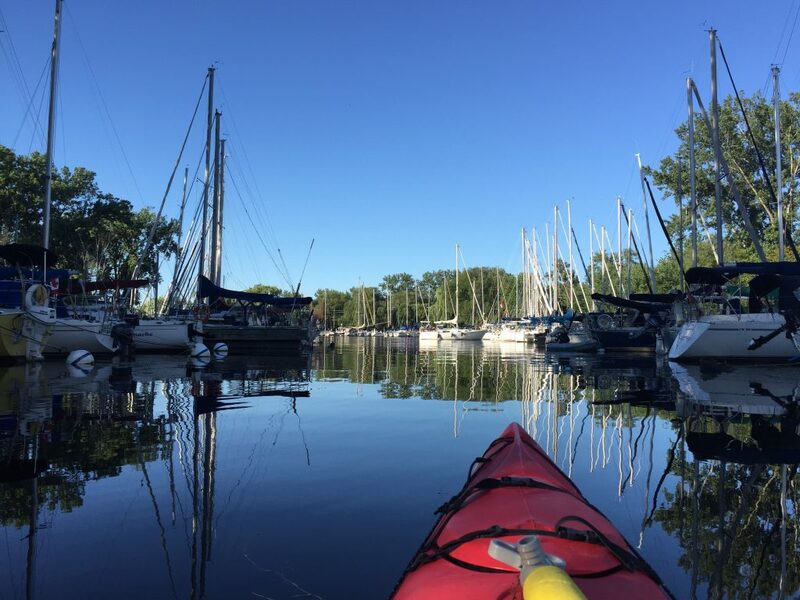 fast forward to last month, there were were in toronto, and our friend lynda mentioned that you can kayak to the islands in front of the city, and how the best view is actually from the water… so we rented one, strapped on some life jackets and went for it! turns out, kayaking around in a busy body of water while trying to avoid the airport exclusion zone and dodge the big ferries isn’t as easy as it sounds. i confess i panicked a few times… but it was well worth it for the view. all those skyscrapers against a backdrop of water and blue skies! we parked the kayak for a while and just took it all in. 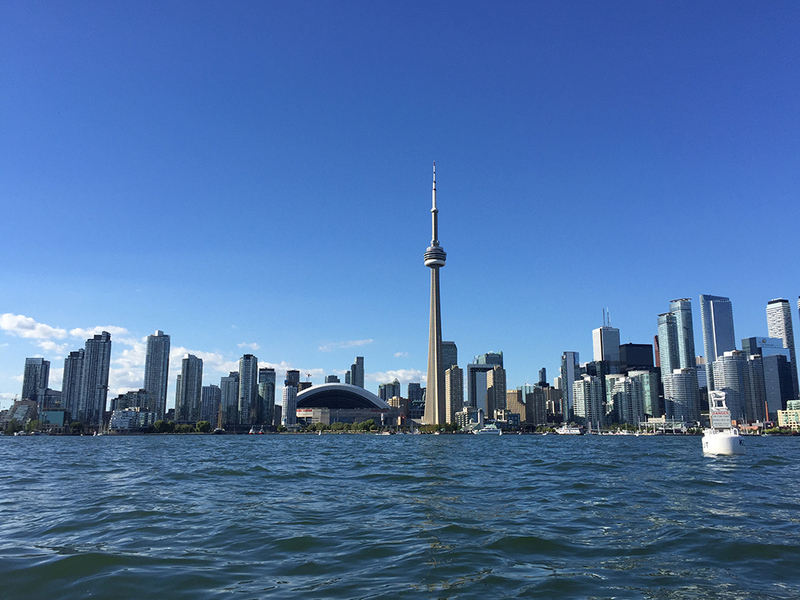 the view of the city from the open water was the highlight of this adventure, but we also enjoyed cruising between the islands in very uncoordinated zig-zags. kayaking is not easy, and at some point we broke the rudder in ours, making the return a tricky challenge. must practice more!